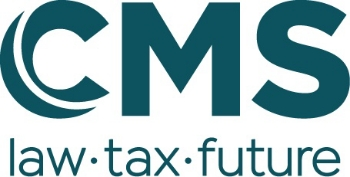 The CAC comes into force on 1 May 2019 for new companies and associations and on 1 January 2020 for existing companies and associations, with an opt-in possibility from 1 May 2019.
meeting the needs of its shareholders, parent companies and their shareholders or interested third parties, directly or via the intervention of subsidiaries, or by promoting their economic or social needs via a participation in one or more other companies. The rules that govern the besloten vennootschap (BV) or société à responsabilité limitée (SRL) will mainly apply to the cooperative, which – like the BV and SRL – will not have share capital. One of the differences with the BV/SRL is that the cooperative must have a minimum of three shareholders at all times. Under the CAC, Belgian cooperatives – known as the CVBA/SCRL or CVOA/SCRI under the old Company Code – that do not meet the cooperative purpose as stated above must switch company forms. The classification of a company of social purpose or CSP, whether it is a BVBA/SPRL, CVBA/SCRL, SA/NV or any other company form that does not aim at enriching its shareholders, will disappear entirely under the CAC. the cooperative is accredited as a social enterprise, which also brings certain advantages. the cooperative with limited liability automatically becomes a BV/SRL. Due to the BV/SRL's flexibility, it is also possible to provide shareholders with a statutory exit at the expense of the company, which was a characteristic of the cooperative. the company with unlimited responsibility automatically becomes a general partnership (vennootschap onder firma or société en nom collectif). As of 1 January 2020 (or in case of an earlier opt-in), the CSP will be automatically suspected of receiving accreditation as a social enterprise. The Minister of Economy will draw up a list of companies suspected of being accredited as social enterprises and could challenge this presumption. Companies with a social purpose that are not cooperatives on the date the CSA enters into force and that wish to continue to be accredited as social enterprises must transform into a cooperative by 1 January 2024, at the latest. Furthermore, the automatic transformation of your CSP depends on its underlying company form. If your CSP is a SPRL/BVBA, the CAC provides that if you did not transform it into another company form by 1 January 2024, it will automatically become a SRL/BV. You can also decide to voluntarily transform your cooperative or CSP in a legally provided form as of 1 May 2019. In that case, the transformation procedure will not apply. Modification of the company's articles of association in front of a notary will suffice. This also applies to the automatic transformations described above. transform the underlying form of your CSP into a company form other than the one envisioned by the CAC (i.e. an SPRL/BVBA could therefore be transformed into a SA/NV). Note that in addition to a company's classic goal of making profits for shareholders (as opposed to associations that are not allowed to do that), a company may also have an idealistic goal where part of its profits are allocated. In all these cases, a transformation procedure applies, which requires the preparation of an interim statement of assets and liabilities, a special report of the company's management body and a report by the (statutory) auditor or accountant.